March is a month of my sickness! 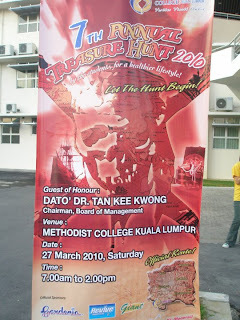 Wheee.....x).......Today is the 7th MCKL Annual Treasure Hunt 2010!....By the way,what is treasure hunt? Is that a game? Or? I reached to college early in the morning,and I was energetic even though I did not sleep well by yesterday. Alright,for the route map of the treasure hunt..
anyway,it was extremely fun !!!! Some of the questions,I found it HARD to find the answers,squeezed my brain!!! After a violent headache,I thought it will be alright for me. low back pain,legs pain,and bones pain....What the hell!!!!! Even I have a pain in the lumbar region too! Perhaps the back pains can be the result of bad posture. Migraine + violent headache + loss of appetite + insomnia + lack of sleep +dizzy + disgusting= oh my goodness! but it's NOT...The feeling of constriction is very special,and I feel that there is a heavy load compressing over my brain! I suffer silently by this week,sigh! I fainted and collapsed to the ground while I gave the explanation..
No pain ,No gain............If you did not get pain,then you wouldn't gain? According to its history,it was the concept of working out past the point of experiencing body aches. and,according to the pain is the gain!!!! Thanks thanks thanks a lot!!! P/S:Life is not all gloom and despondency,cheer up! Honestly,I'm really worried about my results too.. I keep on controlling my mood..
My future is depending on my results,right?? Don't fall too deep,into the death trap. You get attached,to people you don't know. Your mind gets boggled,with thoughts that aren't there. Strong and sober times of old,walking,creeping towards inner time. Small cravings across the land,wondering,thinking till time has come. Feelings amongst those of old,haunted now and structured future. Scent of ranched tyranny,fill the air. Touch of gold left behind,growing pains and slender bliss.. Crying lower beneath the skin,tears pouring,listening to all was done..
all is still the same..
Thy misery grows deep,How can this be and nothing great? The hatred of thy soul is wider than believed,no coming out nor coming close..
Hurt thy and thou shall die,die within thy heart and mind.. Hate thy and thou shall be hated,kill thy confidence and thy'll kill thou heart..
Love's restricted to those we know,care not for others but ourselves.. When doctors and lawyers are criminals,what's gone wrong with this world..
and I was obliged to abandon that idea. even if it is a cloudy idea! Idea=How did I start to revise? Oh my....I began to feel pressure 1 month before the examinations..
it only will lead to 'high blood pressure' or 'heart disease',oh mun!! How many days to go??? 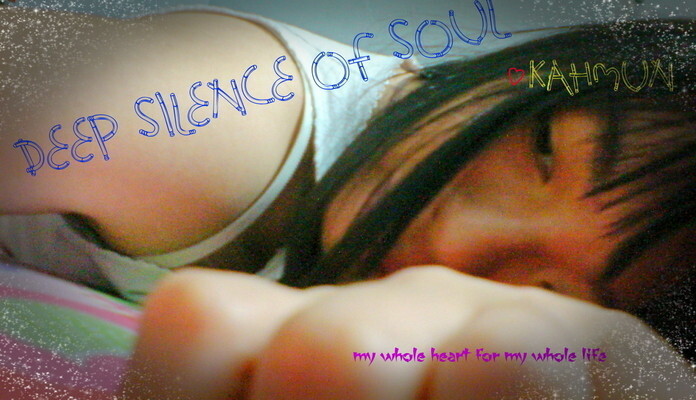 Why?...I have no self-confidence ?? Isn't the right time for me to build up 'confident'???? My mind was blank,and I did not know how to start it..
NEXT....SPM results,it is an ACTIVE VOLCANO!!! What kind of feeling is that?? Sigh,I cant describe it,don't know what to do!!! How to face on my results? 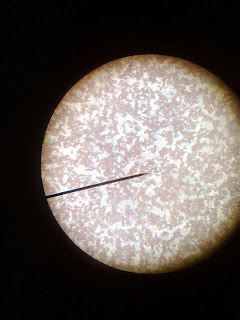 and then put it under the microscope to have a view!! Now I only realize that another month is coming,(dear me,what the fast response time)..
or something wrong with my body and mind? I knew that the only thing make me like that is MY STUDIES,other than that? Anyway,Am I a good student?.....or it means clever student? Last time I was not like that....''I WANT TO FIND BACK MYSELF''...please god!!! !